| Intellectual property, confidentiality and transfer of rights contracts for freelancers. 30 Jul Intellectual property, confidentiality and transfer of rights. Today we have some common questions from newbie freelancers about copyright, confidentiality and transfer of rights. This is a pain but as professional freelance designers we must invest time in our own education. Law protects the artwork since its creation. Registry is not necessary, although it’s good evidence that you’re the author of the artwork. 1.- Registering an intellectual property (for example your logo or any other artwork), this paperwork works as proof that by that time you had created that piece. If anybody claim the ownership of your piece, he/she must provide a proof prior to your date of registry. A proof can be another registration or the publication in any tangible medium, for example a magazine. 2.- Registering a trademark, this a more elaborated process and must be handle by professionals that can advice you the best approach. Before registering your brand they will check that there is no incompatibilities, for example another company with a very similar name within the same industry. There is a quick way to see if your future brand name has potential or not, check if the domain name is free. If it’s free and there is no Google records about your new company name, you probably won’t have any issue. This is a complex subject and it’s your responsibility to be informed according to your local laws. Here you can find a general guide about how to defend your intellectual property. Don’t miss my next Post!! He pays the extra confidentiality fee: I sign the NDA and deliver the files. He doesn’t agree but he pays the remaining payment: I don’t sign the NDA but I deliver the designs. 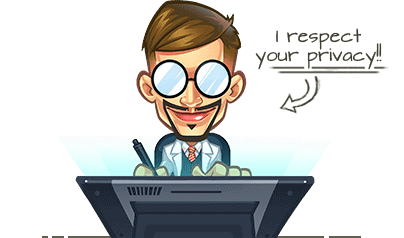 He doesn’t agree and refuse to pay the remaining payment: I warm him that he would lose all rights over the designs and the down payment, I keep the files to sell it as stock images or for personal projects, I never resell the designs as custom work. This is not set in stone, if he’s a good client and he’s easy going I can make exceptions but confidentiality as an habit is the death of your career. We all live from exposure. No, they aren’t, a NDA is a document where you commit to not to share any specific info (the artwork itself of or any spec of the project or company) while a transfer of rights is a document where you state that in exchange of money you give permission to the client to make use of the transferred rights, this transfer of rights can be total or partial. In my case, whenever a client ask a contract I provide it. I always transfer all rights to the client with 1 exception: the right of authorship so confidentiality is included eventually. This way I can display the designs in my portfolio and social networks, of course I can’t make any money out of it (i.e: selling t-shirts or mugs). hace mucho que no leeia tus blogs… estavas un poco perdido en esas vacaciones! :D… pero bueno… te deseo muchos exitos en todos tus proyectos y enserio muchas gracias por cada tutorial… he aprendido demaciado! Troyi, be sure you check the small square at the left of the history state you are interested in. Anyway this is the matter of the next tutorial. Troyi, fíjate que estás marcando el estado correcto en la paleta historia (el recuadro a la izquierda de cada estado). De todas maneras este será el tema del próximo tutorial. Hola Diana, volví a comprobar los archivos, no me da ningún problema. A ver si alguien más tiene problemas. Ese que enlazas es un NDA básico, no dice nada de la transferencia de los derechos, pero seguro que encuentras alguno por Google. do you have a tutorial here about coloring your lineart starting from scratch?? as in you start from black and white…i really dont know how to start! oh and thanks for the lineart videos! those really helped me to get started! Darell, just the previous post is about this. Sergi, tengo una duda, ¿qué hacer cuando alguien pregunta si el diseño que uno ha hecho es modificable,y le pertenezca al cliente, cobrarle un impuesto? y si es así, ¿Para este caso se usa el documento transfer of rights? Hola Diana, si transfieres todos los derechos, transfieres todos los derechos. Si quieres que nadie modifique tu diseño deberias especificarlo en el contrato aunque dificilmente el cliente aceptara esta clausula… (modo Troll on) estan deseando sacar al artista que tienen dentro y “mejorar” en 5 minutos lo que tu has hecho con horas de esfuerzo y dedicacion (modo Troll off). I’ve been following your blog for a loooong time now. It’s more than 2 years. I love the tips & tutorials you give to us. For me, I’m a web designer & I love to do illustrations. I just bought an Intuous 3, and practising on it. I had a question, how do you draw crisp clear lines? My lines turn out to be grainy/jagged. I tried various brushes in Corel Painter that came with the bundle. Do you use different software or is it practice? The key is using high resolution canvas, I use around 7000x7000px in Photoshop. hello sergio… can I ask too? Sure Mikael, just email me. Hola, Sergio, no sé si será una pregunta medio tonta 😛 pero para firmar un documento asi ¿uno debe solo escribir el nombre o hacer la firma digital con una tableta? Hola Diana, lo ideal sería firmarlo de puño y letra y enviarlo por correo, pero la firma digital también vale. Hola, Sergio, gracias por tu respuesta. Algo que olvidé en mi pregunta fue sobre un documento que se llama Work For Hire http://www.copylaw.com/forms/Workhire.html y alguien me pidió eso, según leí, con el se transfieren los derechos del diseño, ¿es recomendable firmar eso y se cobra también? Hola Diana, este documento es muy común, normalmente lo usan las empresas para dejar claro al trabajador que es un encargo puntual y que no conlleva ninguna otra responsabilidad como subsidio por desempleo, baja por enfermedad y esas cosas… vamos que no eres parte de la empresa. Además veo que añade los apartados de cesión de derechos y el típico apartado diciendo que todo lo que haces es original. Lo de cobrar o no cobrar por algo así es muy personal, yo no cobraría. Hola Enzo, no soy un experto en ninguno pero sí que hay diferencias, Flash es principalmente para animar e Illustrator es principalmente para ilustrar. Con ambos puedes hacer ambas cosas, pero cada uno es más potente en lo suyo. Hola sergio, realmente un trabajo estupendo el que has realizado con tu sitio, tiene muy buen contenido y de calidad, quisiera saber si puedo robarme algunas imagenes de tu sitio para crear un banner y ponerlo en mi sitio web, lo que quiero hacer es crear una referenci apara los usuarios, que conoscan que tambien hay sitios de calidad y en español. Hola Iván, si lo que quieres es crear un banner para enlazar a este blog entonces no hay problema. Hi Kakashi, you can´t do that. Whenever you enlarge a picture you loose sharpness. For design or illustration work, is right to work with a laptop or a desktop and how many RAM memory it is necesary? I switched to a laptop around 1-2 years ago and I hope I had done it sooner. I have an Asus computer with 4gb (though Vista 32bits just can use 3gb), it was around 1.000€ and it works smooth. Latelly I´m having memory problems with Photoshop CS5 but there is lot of people having these issues, I bet it´s because this version is not too efficient. If you need a relative portability (since the battery works for a few hours you always depends on an electricity source), don´t do heavy tasks (3d, video edition…) and can spend some extra money I completely suggest going for it. Another advantage is the calm, forget the noisy fans! I wouldn´t look for a brand, I would look for the best configuration at the lowest price. Mac computers are expensive. Hello there. I got kinda noobie question, I got the basic idea, just want to make sure. In a simple way; how to make your designs print-ready? I mean, what sizes and resolution I should set when working on CD covers, posters, t-shirt designs etc… ? you must use the real size at 300dpi for the best quality. Sergio…are you are design a mascot for this http://www.kebabkingsindonesia.com/ it’s very similar with your design for http://www.tylercruz.com/.i'm afraid your design has plagiarize/copy from unresponsible designer.very embarassing it’s happen from my country Indonesia. very love your blog.your struggling until like now give me a lot inspirations for newbie like me.it’s why i’m written this.you are the best mascot designer Sergio! Another epic ripoff, thanks a lot for taking the taking to comment mate, it’s much appreciated. I will contact to my client so he will take whatever actions he likes.